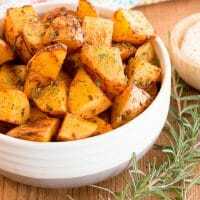 Paprika oven roasted potatoes is a super easy meal prep recipe that reheats really well in the oven, microwave, or toaster oven. You only really need three ingredients: potatoes, paprika, and oil. I, however, like to add a little herbage and some garlic to my roasted potatoes. This recipe scales very well and is extremely forgiving. Other additions such as garlic powder, onion powder, fresh herbs (parsley, thyme, rosemary are fantastic), dried herbs, green onions, or some scallions. For potatoes, I recommend Yukon golds or red potatoes. Start by getting yourself any potato. Literally just about potato will work. I’m using some Yukon gold potatoes that were a little close to being tossed in the trash, so they got used up for meal prep. Simply chop up your potatoes into bite-size pieces. 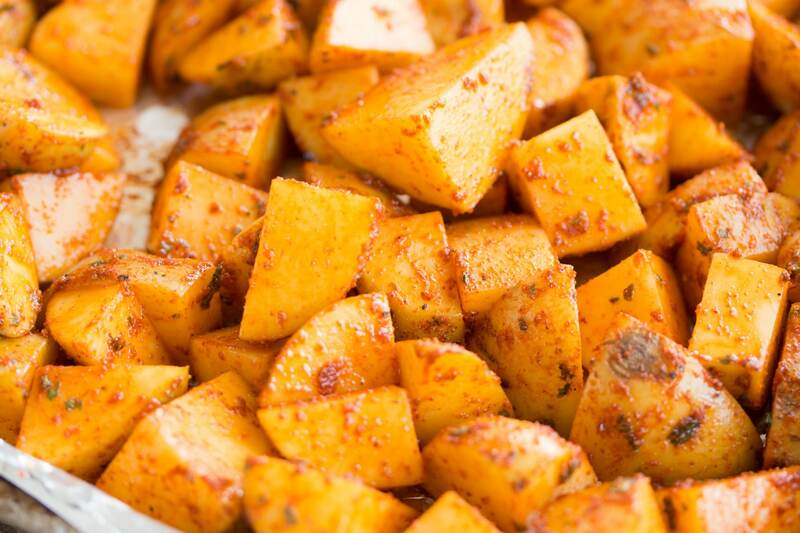 Toss them in olive oil and coat liberally with paprika, chopped garlic, and herbs. Honestly, I rarely even measure how much I’m using. I just keep adding ingredients until it feels right. But see the recipe below for some recommended starting quantities. Preheat your oven to 425 ℉. 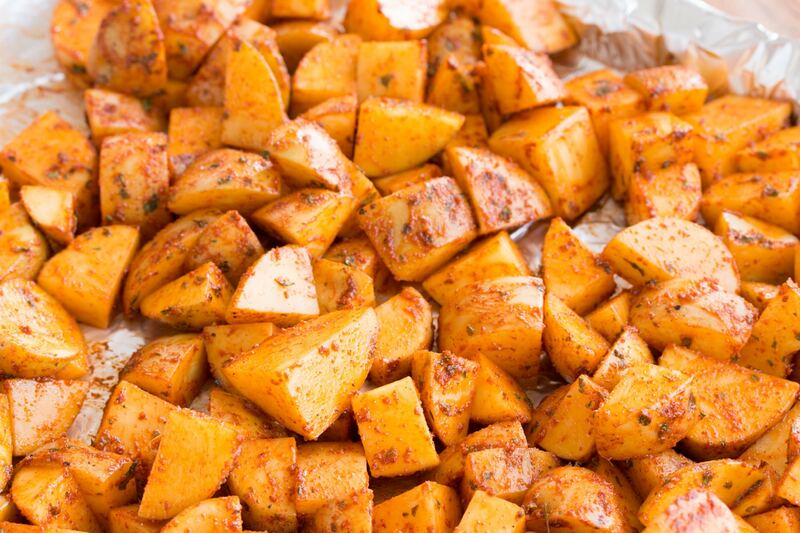 Pour your lathered potatoes onto a baking sheet lined with aluminum foil. Spread them out relatively evenly. Try to avoid having them bunched up. Cooking for 15-20 minutes until the surfaces of the potatoes begin to crisp up and slightly char. 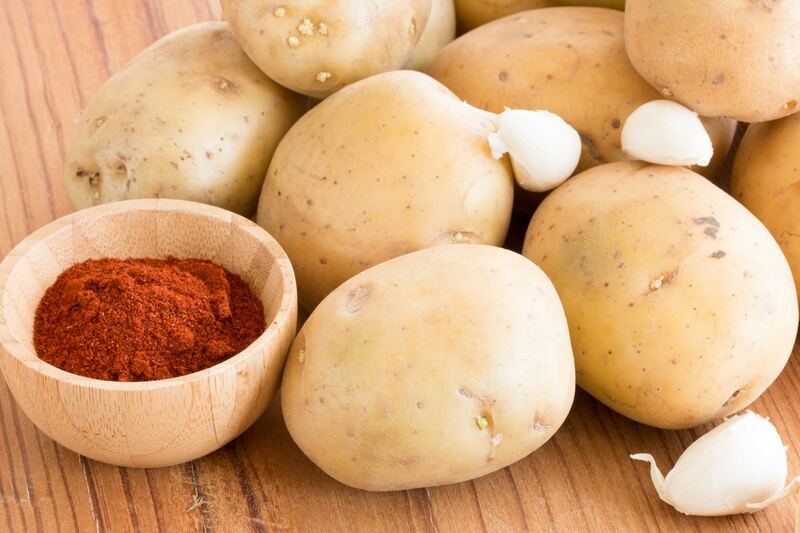 You want some color on these potatoes to get the best results and flavor. 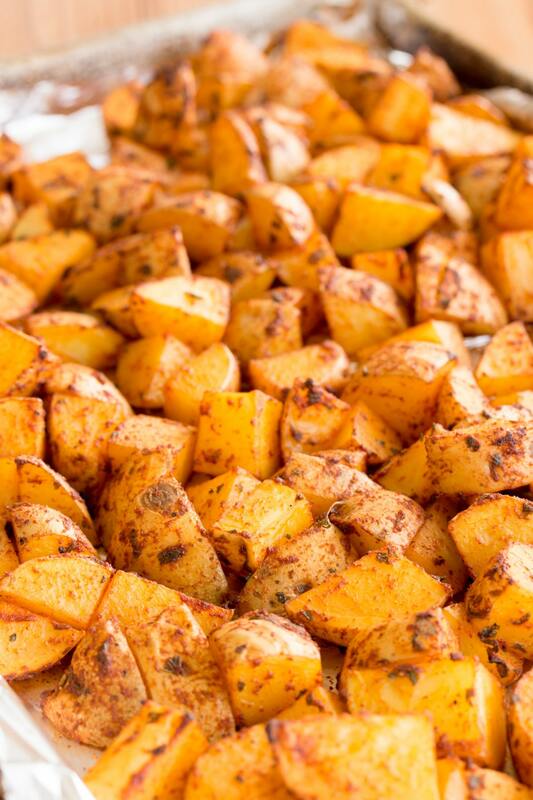 The for meal prep, we really like these potatoes family-style. 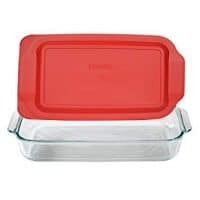 We’ll either put them in an oven safe dish or a baking dish that has a snap on lid. 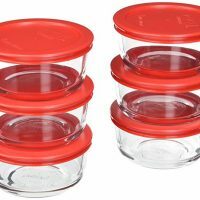 If you like individual portions, feel free to toss these jewels into individual meal prep containers. To reheat these guys, just bake them again at 350 ℉ for about five minutes. Oven roasted potatoes reheat really well in the microwave, but won’t be super crispy. 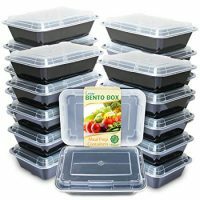 This recipe will easily make eight meal prepped sides. 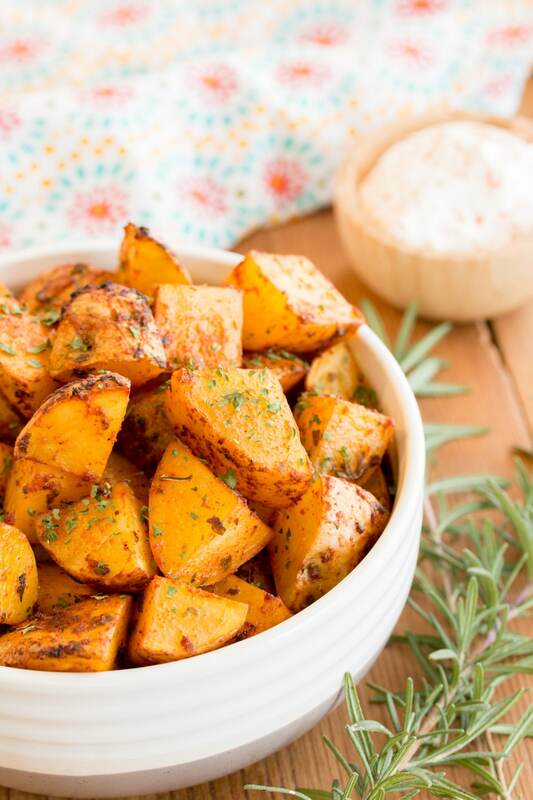 Oven roasted potatoes are absolutely fantastic on their own, but we like dipping sauces… so we recommend using something as simple as sour cream. If you want to get crazy, mix up a 50/50 mix of sour cream and horseradish. Mixing up some sour cream with some chipotle is absolutely fantastic too. 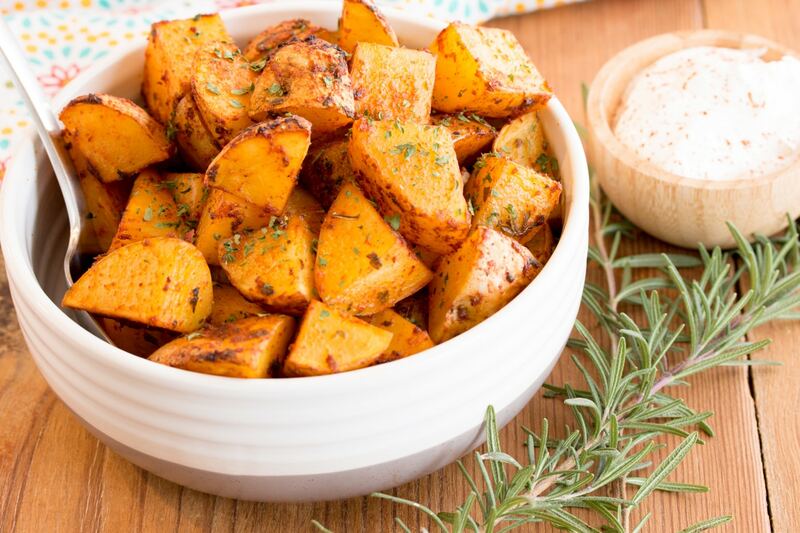 A super easy roasted potato recipes that's easy for meal prep. 1 tbsp. dried parsley, dried herb, or any fresh herb. Add the potatoes, garlic, oil, paprika, and parsley to a mixing bowl. 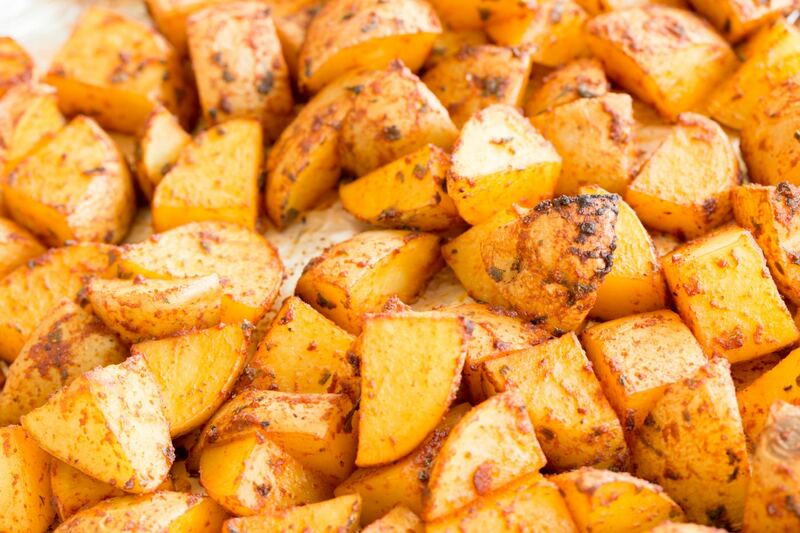 Toss or mix until the potatoes are evenly coated in the garic, paprika, and herbs. 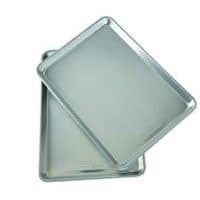 Line a bakingsheet with aluminum foil. Pour the potatoes on to the bakingsheet in a single layer. Roast the potatoes for 15-20 minutes or until the exterior starts to darken in color and slightly char. Remove your potatoes from the oven and let slightly cool before serving. These potatoes look so delicious! 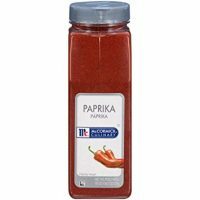 Love the paprika!